Superdry men’s Core parachute cargo pants. 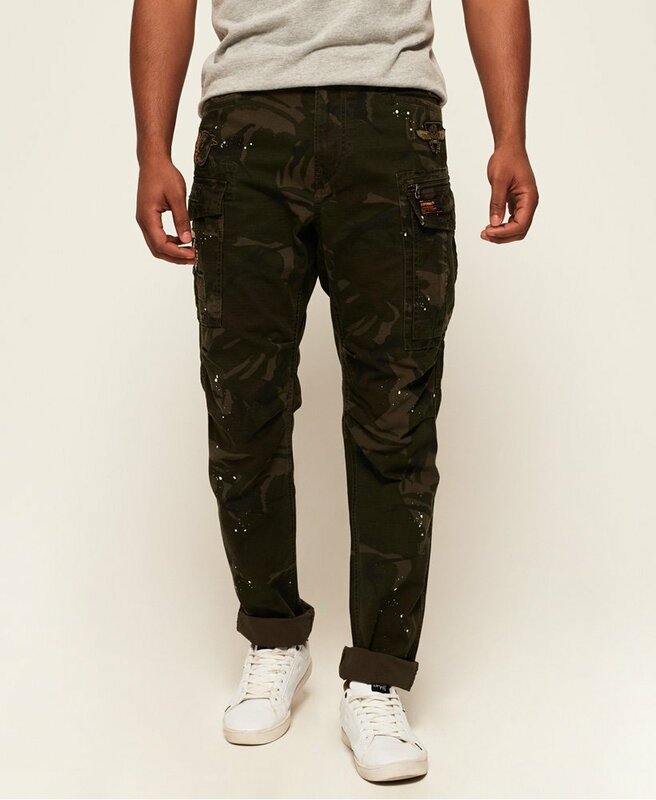 These cargo pants feature five front pockets, two rear pockets and a zip fly fastening. The pants are finished with various applique Superdry branded badges and branded buttons.